Ethiopia has declared a state of emergency, a day after the country's prime minister abruptly resigned. The measure was announced on Friday by the Council of Ministers, the Ethiopian government's cabinet, according to state broadcaster EBC. Local media said the measure is effective as of Friday, but it was not immediately clear how long it would last. Quoting an unnamed source "close to the government", the Addis Standard newspaper reported that the Council was debating whether to make the measure span three or six months. Ethiopia's Oromo and Amhara people - who make up about 61 percent of the country's population - have staged mass demonstrations since 2015 demanding greater political inclusion and an end to human rights abuses. 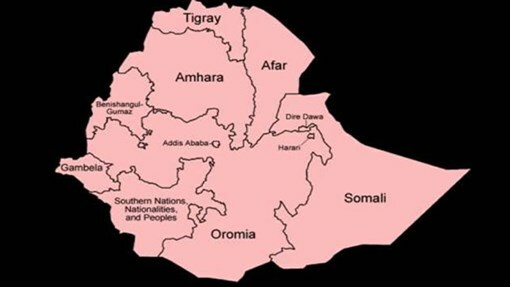 Jawar Mohammed, an Oromo rights activist and head of the Oromia Media Network, said the state of emergency declaration was "unnecessary, unhelpful and unwise". "The best way to ensure stability at this time is not to declare state of emergency that was tested and failed," Mohammed wrote on Facebook earlier on Friday. Felix Horne, a Human Rights Watch researcher on Ethiopia, said during the last state of emergency - the first in 25 years - more than 20,000 people were arrested. "Those released speak about how it has only angered them further. It didn't work then, what does [the government] hope to achieve now?" Horne wrote on Twitter. Hailemariam, who has sat at the helm of the Ethiopian government since 2012, announced on Thursday he would be stepping down as prime minister and head of the ruling Ethiopian People's Revolutionary Democratic Front (EPRDF) coalition. He cited ongoing "unrest and a political crisis" in the country as major factors in his resignation, which he described as "vital in the bid to carry out reforms that would lead to sustainable peace and democracy". Hailemariam said he will stay on as prime minister in a caretaker capacity, until the EPRDF and the country's parliament accept his resignation and name a replacement. The executive committees of both the EPRDF and his own party within the coalition, the Southern Ethiopian People's Democratic Movement, have so far accepted his decision to step down. Tsedale Lemma, editor-in-chief of Addis Standard, said there has been a political struggle within the ruling party since the death of former prime minister, Meles Zenawi, in 2012. Appointing a new prime minister from within the Oromo community would be "a conciliatory gesture", Lemma said. But whomever replaces Hailemariam, she said Ethiopia "needs a very serious political surgery to heal it from its structural [disfunction]", which would include dismantling repressive laws and strengthening the independence of the judiciary. Mulatu Gemechu, deputy secretary of the opposition Oromo Federalist Congress, said earlier on Friday that Ethiopia needs a new political system after years of unrest. "Ethiopians now need a government that respects their rights, not one that keeps beating and killing them," he told Reuters news agency.